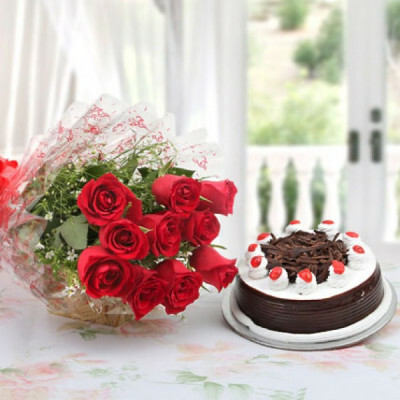 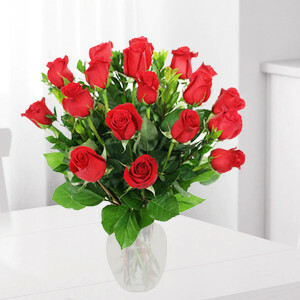 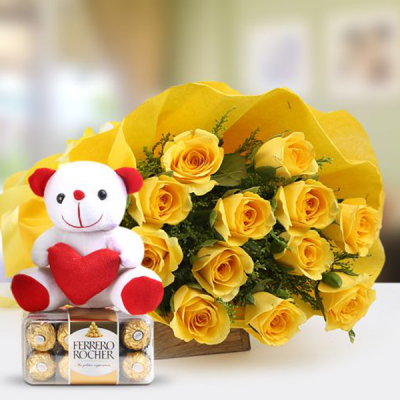 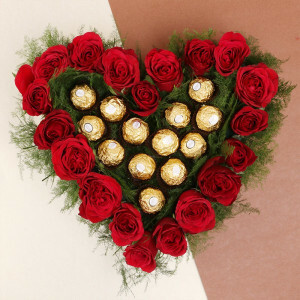 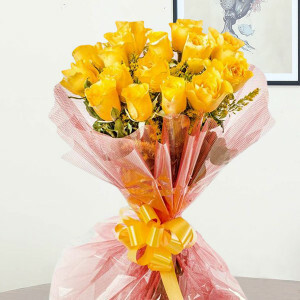 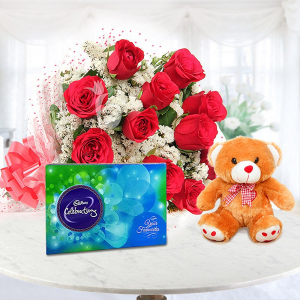 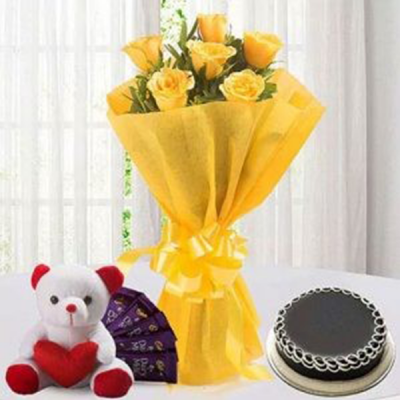 Why wait for an occasion, when you can express your love easily by sending flowers to Alwar with MyFlowerApp? 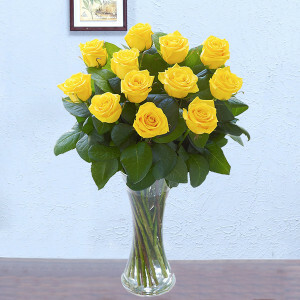 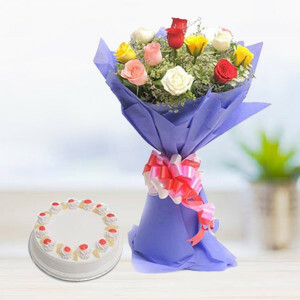 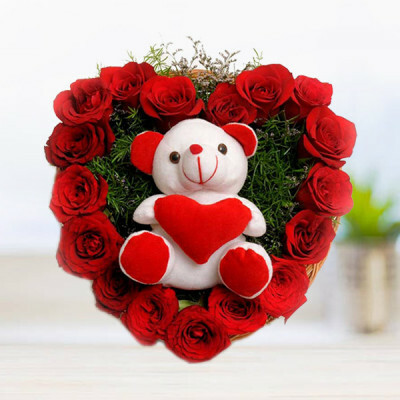 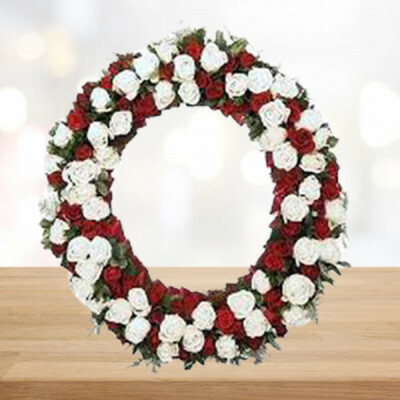 Send beautiful floral arrangements online to your friends and family with our free shipping and guaranteed timely delivery. 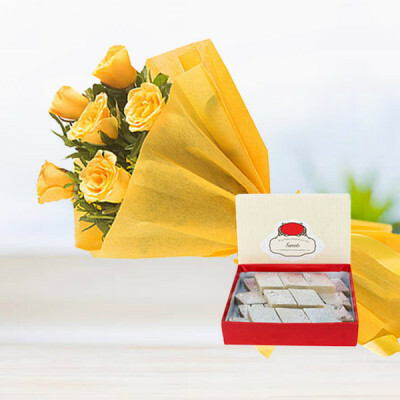 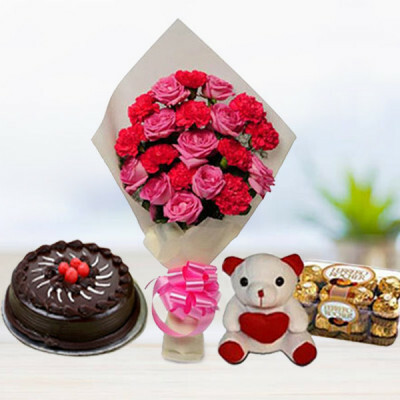 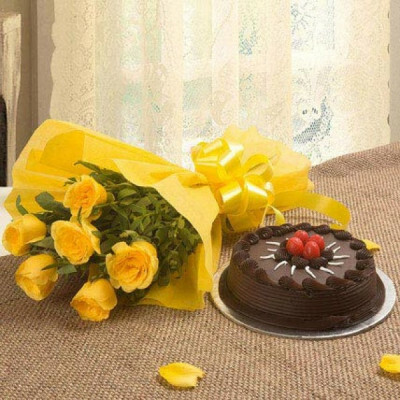 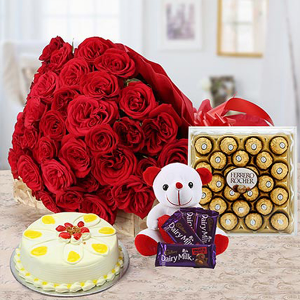 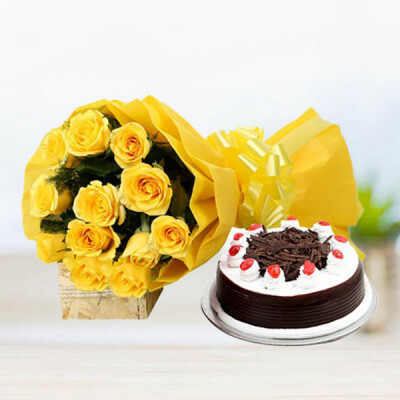 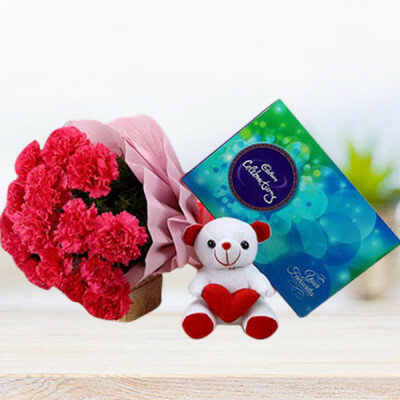 Make occasions extra special, by adding festive combos containing cakes, personalized gifts, and chocolates to the package. Send the heartiest warm wishes to your special one with our lilies and rose vase filled with fresh and hand-picked 12 red roses and 4 pink lilies along with fresh green leaves. 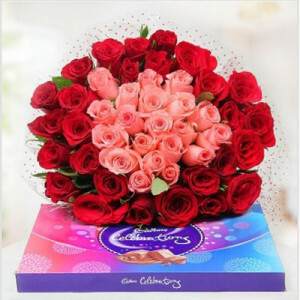 - 12 Red Roses and 4 Pink Asiatic Lily. 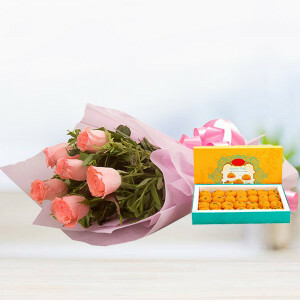 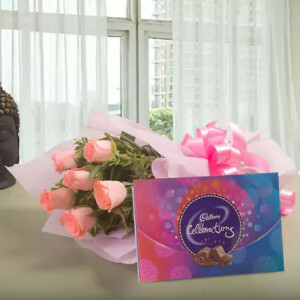 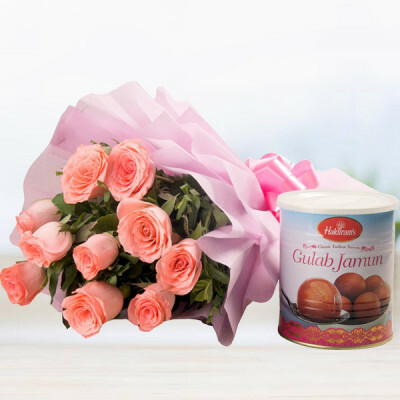 Bunch of 6 Pink Roses wrapped in pink paper packing and pink ribbon and 1Kg Moti Choor Laddoo. 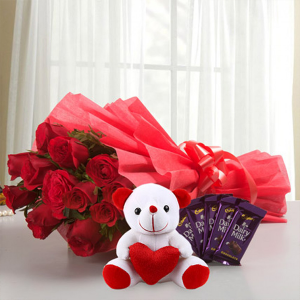 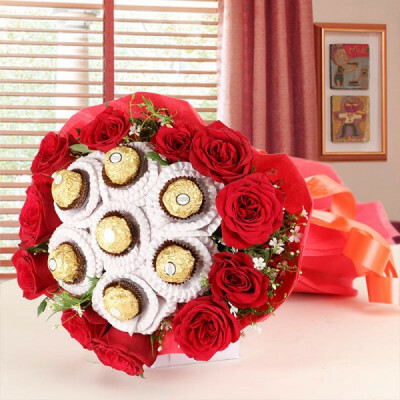 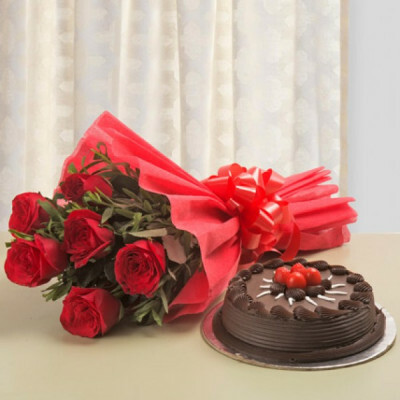 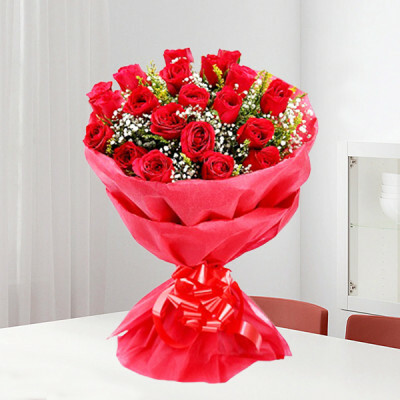 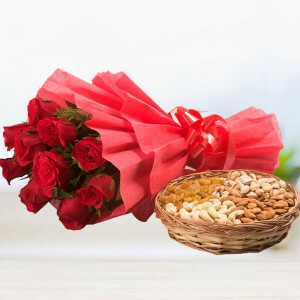 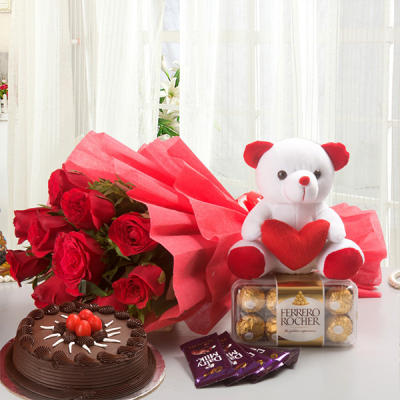 Bunch of 12 Red Roses in red paper packing and red ribbon bow with 1kg mixed dry fruit basket. 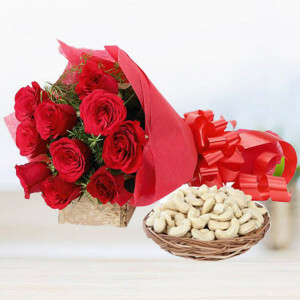 10 red roses and 1 kg cashew with a basket. 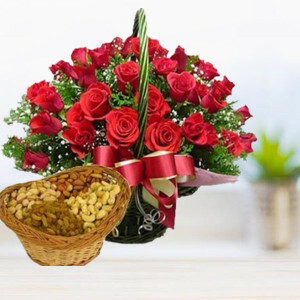 12 pink roses and 1 kg dry fruits. 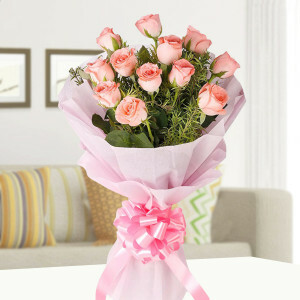 - 12 pink roses in pink paper packing. 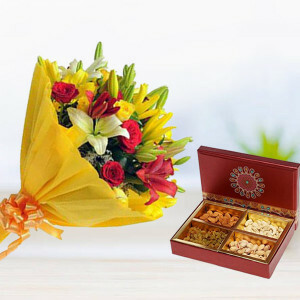 Stylish Bunch of 18 Mix Flowers like Lilies, Gerberas, Carnations, Roses with green fillers along with 500gm Assorted Dryfruits. 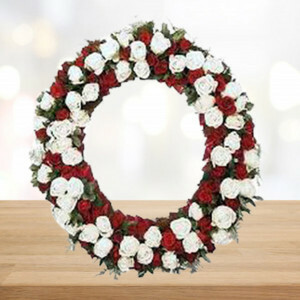 - 18 Mix Flowers like Lilies, Gerberas, Carnations, Roses with green fillers.